I've decided to try a new feature on my blog this year in the form of a round-up. Every three months I'll look back and share some of my favorites looks from those months. This way I will be able to really see how I've progressed as a nail artist and also see if I tend to lean more towards one technique or do a good job of mixing them up. I haven't decided yet if I'll just do nail art looks or incorporate swatches also. I'm kind of doing this on the fly and hoping for the best. So, what are my Favorite looks from January, February, and March? Let's take a look. 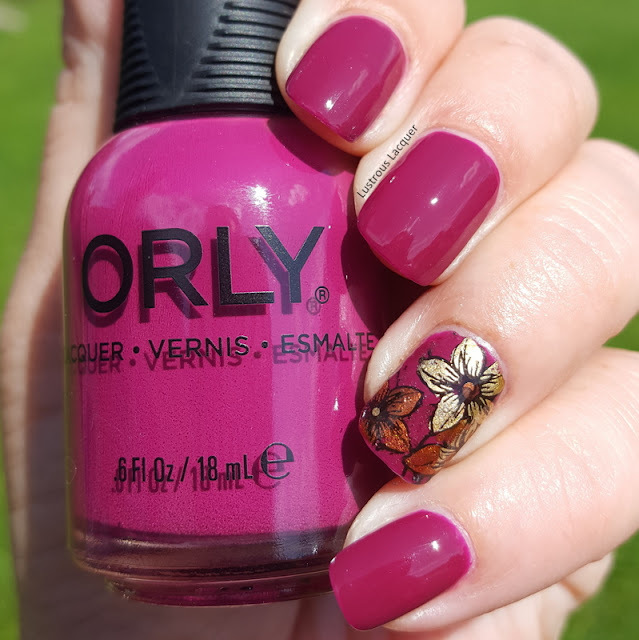 January started off with some nail art featuring the Orly Darlings of Defiance Collection. While I created two looks for that post one really stuck out in my mind. The gradient I created using Penny Leather and Champagne Shushe. There was just something about this color combination that I really liked. This combination was also a bit out of my comfort zone and I'm proud of the fact that I'm starting to branch out a bit. Even if it is just a small amount. 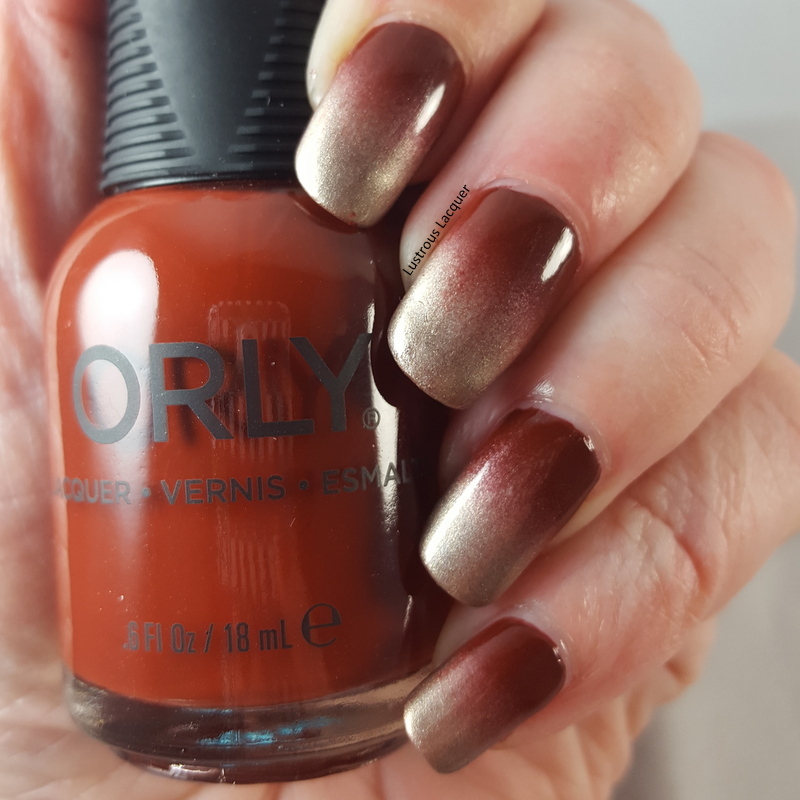 More photos of this look can be found in my Nail Art with Orly Darlings of Defiance post. January also saw the start of the Untried A-Z Challenge, another new series for my blog this year that I hope you are all enjoying. 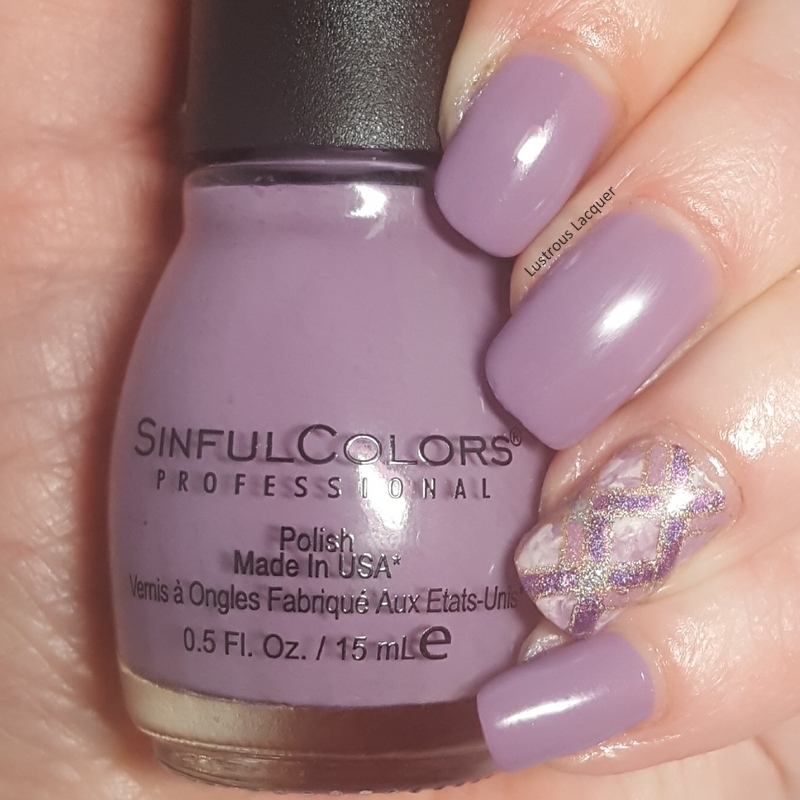 I've mixed things up a bit with this challenge and have done some swatches, shown two polishes and shared a bit of nail art. My next favorite look is from the second week of the challenge, Letter B week. This is some of the cleanest, crispest stamping I have ever done and that is the reason I've chosen this as one of my favorites. Not to mention I have a little obsession with geometric nail art right now. 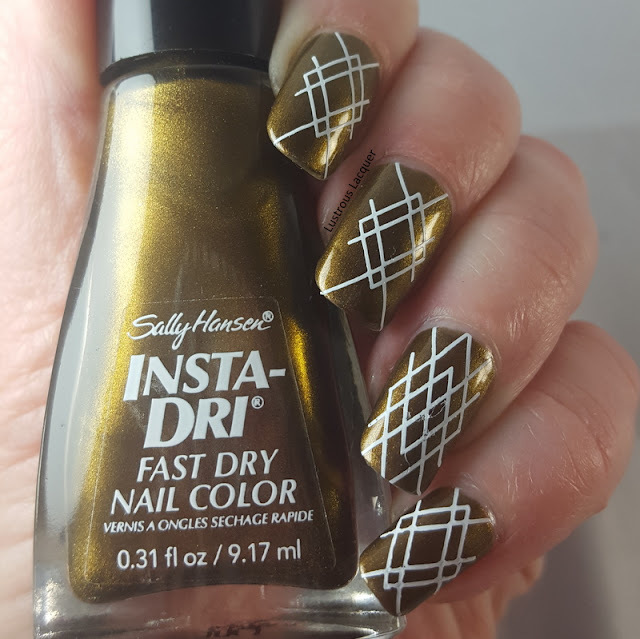 I've gotten away from sharing nail art in the latest posts of the Untried A-Z challenge but will be getting back into it as the challenge progresses. Speaking of the Challenge, next week starts letter G week and I'd love to see more people participate. This is a come and go kind of challenge where you can do as many or as few prompts as you like so feel free to join in. 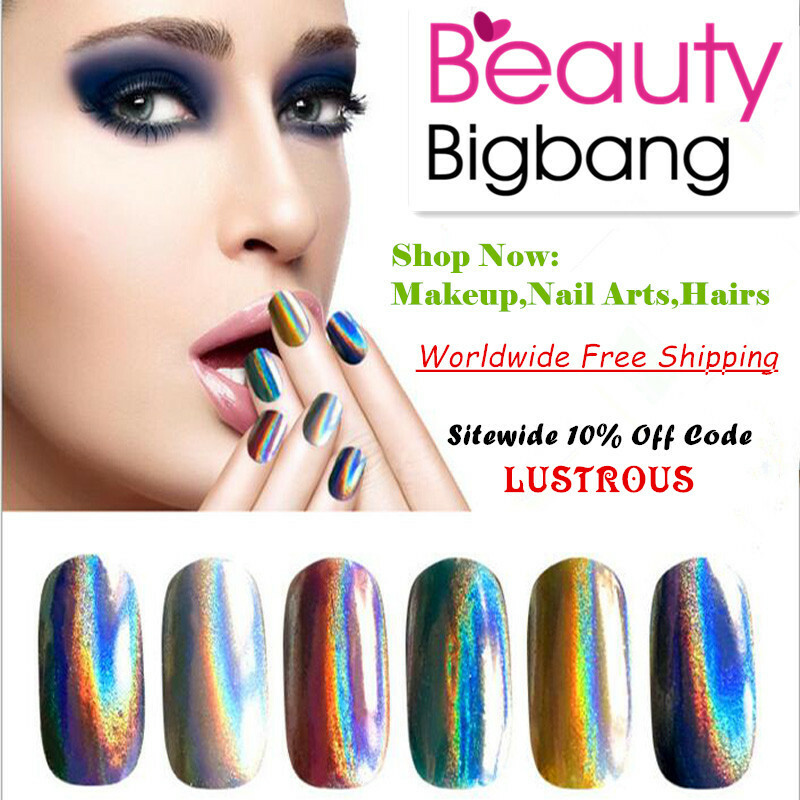 Even if you didn't mention the challenge in your post but used a polish with a G in the brand name or polish name add it to the link up! 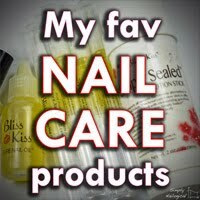 Help me get the word out and let's get through those untried polishes together. February was a short month but I was still able to squeeze in a few different looks and some new techniques. I started out with a technique I'm very comfortable doing and ended with one I've been trying to master for years. This first look was my Groundhog Day prediction manicure which sadly turned out to be wrong and winter is still hanging on. I am full on head over heels in love with this look. 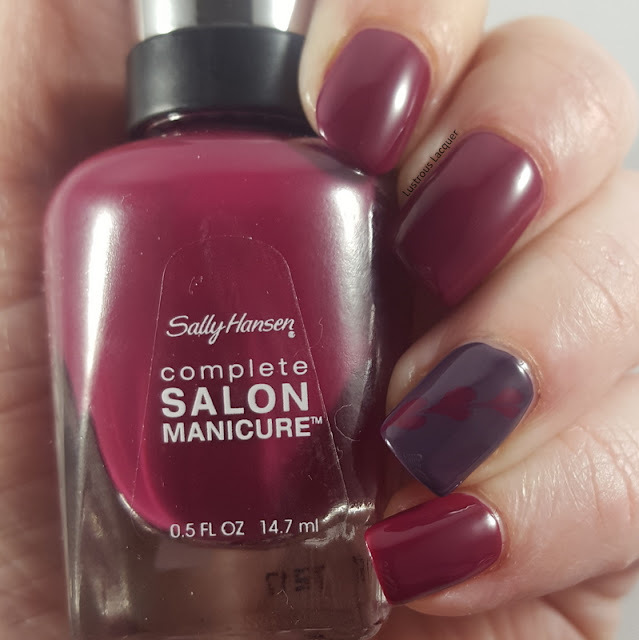 I love the bold vampy base color, I love that it's got flowers, the contrast between the gold and berry wine is gorgeous and I want to wear this look again. Plus it was so easy to do using the advanced stamping technique. It is my absolute favorite look so far this year. This next look while not quite as pretty as my floral image is one that I am very proud of. For years I've been admiring the needle drag manicures that pop up in my news feed, and have attempted the technique a handful of times with horrific results until now. This was the first look I created for Valentine's Day and my first successful needle drag manicure. I know it's not much but for me finally getting this technique to work was huge! What was the secret to my success? You'll have to read the original post to find out, I'm not giving away all my secrets today. I haven't attempted to do another needle drag yet this year but have a few ideas in mind, plus I'd like to do a full hand look instead of just the accent nail. And I think colors with a bit more contrast will give a more interesting look. 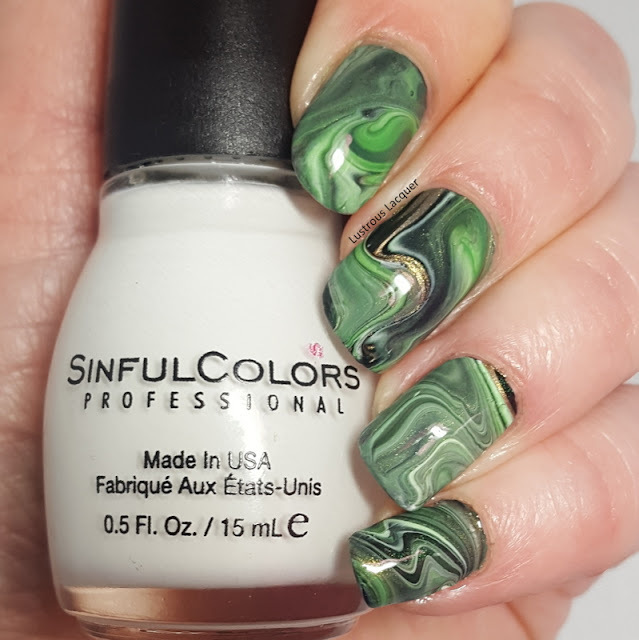 My first look from March is the drip marble I did for St. Patrick's day. I shared this look is both a glossy and matte version. While I like both looks the matte version won my heart and is my second most favorite look so far this year right behind the Ground Hog day floral. Finishing up my quarterly favorites is the art deco look I shared last week. This was a blogger meet up manicure featuring the reverse stamping technique and my second geometric manicure this year. Did I mention I have a slight obsession with geometric manicures? This is the first manicure I can remember doing where I mixed two different techniques on one nail. The first being a smoosh manicure and the second a reverse stamped look. I really like the classy, elegant feel this accent nail has which is why it made it into my top 6 looks this year. mixing two techniques together is a great look and need to remember to do this more often. I know gradient and stamping are commonly mixed together but I have yet to do a manicure like that. Maybe I'll have one in my next quarterly favorites post? I hope you enjoyed this look back at the first 3 months of blog posts. I hope a few of you decide to join in on the Untired A-Z Challenge, full details can be found at the Facebook Event. If you decided to recreate any of these looks please share them with me on my Facebook page or tag me on twitter. Thanks for stopping by and Happy Polishing.